In some ways, the benefits of this are quite similar to RED’s REDCODE RAW format, but there are certainly differences between the two formats (and other RAW formats that are used in production). The debayering process is inherently expensive from a processing standpoint. Most applications (daVinci Resolve included) will do a quick debayer during playback in editing or grading and then use a higher quality debayering for final processing. The alternative is something like ProRes recording in camera, but then much of the color information and, therefore, post flexibility is lost. We have brand new Fundamentals and Advanced V15 Resolve training with Warren Eagles. It’s available for immediate download and comes with gigabytes of footage you can use on your reel. Check it out here. With Blackmagic RAW, they have moved some of the debayering into the camera, with a partial de-mosaic that happens post-sensor and before encoding. This allows them to then use what they call a “reduced de-mosaic” in software. The most processor-intensive de-mosaic and heavy lifting is done with hardware in the camera allowing the post-processing to happen much more quickly. Users still have full access to the controls they have become accustomed to such as ISO, color balance, gamma, etc. Additionally, a Blackmagic RAW file contains additional sensor metadata that is part of the file. This information allows software applications to access things such as all the camera settings and Petty says that “what’s most important is that it knows the color science and fully understands the sensor characteristics” of the footage. The developer SDK library allows a software application to know how the sensor responds in various situations. 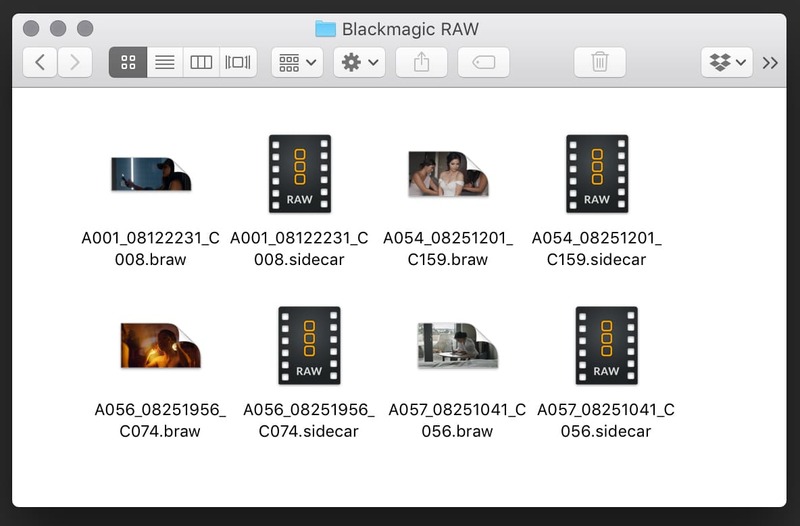 The processing of the Blackmagic RAW files is also contained within the SDK so it is consistent across applications. Processing utilizes both the CPU and the GPU. It is optimized for AVX, AVX2 and SSE4.1 enabled processors, multi‑threaded and works across multiple CPU cores. The GPU acceleration works with Apple Metal, CUDA and OpenCL. “But where it gets interesting,” says Petty, ” is that compression is before the RAW conversion. 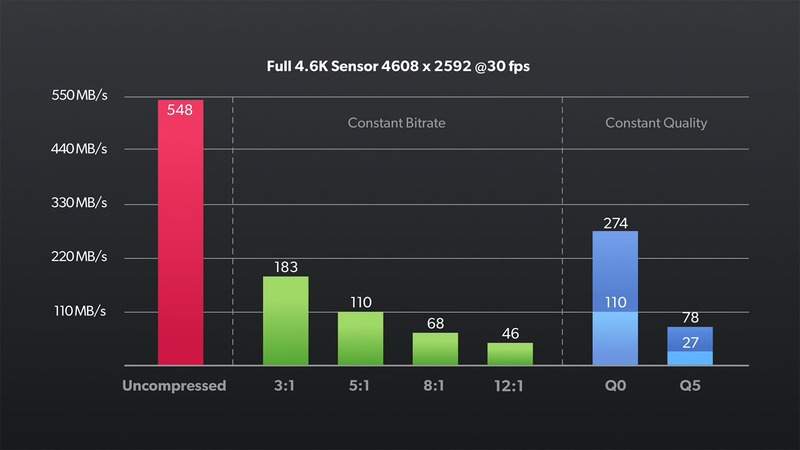 So what this means is you can get much higher compression without degrading image quality. You’re not compressing final imagery, you’re actually compressing the RAW data before it turns into imagery.” This is something which will be familiar to those who have used REDCODE RAW. As far as specifics, the format comes in both constant and variable bitrate flavors. The four constant bitrate variations are Blackmagic RAW 3:1 (183 MB/sec), 5:1 (110 MB/sec), 8:1 (68 MB/sec) and 12:1 (46MB/sec). The variable bitrate variations are Blackmagic RAW Q0 (max 274MB/sec – min 110MB/sec) and Q5 (max 78 MB/sec – min 27 MB/sec). These figures are from Blackmagic and for full 4.6K sensor 30fps 4608×2592. In an online video, Petty included several quotes from DOPs who have shot with the new codec and they were all incredibly positive even regarding the higher 12:1 compression. Obviously, they’re going to include good feedback in the video, but it is interesting if this positive type of feedback does continue as more and more people use the new codec. 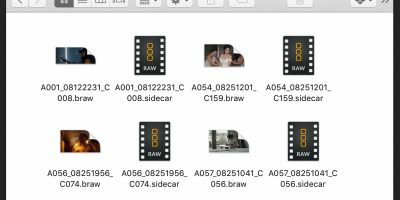 In-camera, metadata information such as tint, color space, iris, focal length, take number, and such is recorded within the Blackmagic RAW “.braw” file istelf. In addition to the .braw files, the format allows for JSON format sidecar metadata text files. These files are ancillary, which means their settings override the metadata settings which are within the .braw file. 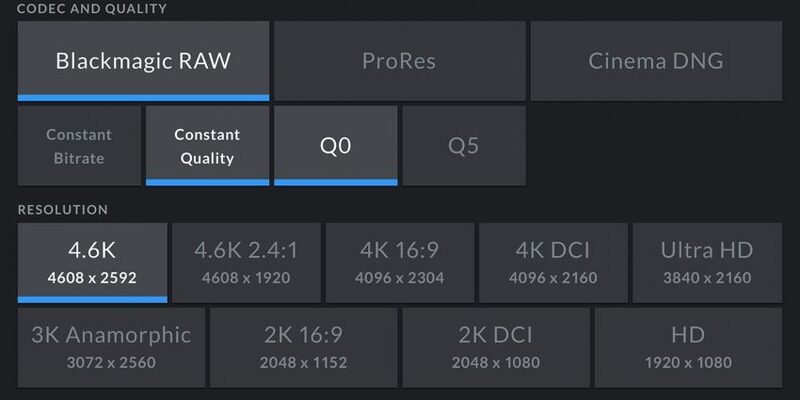 Blackmagic RAW also supports frame by frame metadata, which means it can provide information such as focus distance or other information that might change on a frame by frame basis. 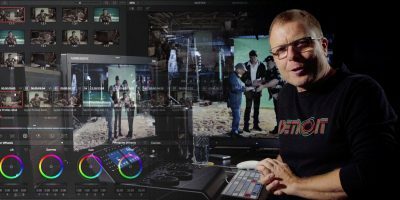 The Blackmagic RAW format also allows for user-customizable color space transforms so end users can create their own color spaces with control over things like saturation, contrast, mids, etc. Sure it looks nice, but what is missing is sharpening and other noise/detail stuff that you get in a redRAW. But I do like that is spilts the workload between camera (hardware) and the NLE for post. Leaving the easy part for our multilayered work 🙂 Smart move.